Two race were held yesterday in a wide range of conditions. The wind speed was between 5 and 20 knots and the direction went from 225 to 355. The first attempt at the second race was abandoned midway due to a collapse of the wind and a large shift to the right. We had another frustrating day finishing 10th in both races. In the first race we had a good start but believed in the right too much and it didn’t come good for us. In the second race, I got a poor start and we were still amongst the group at the first mark but we don’t seem to have the ability to claw back through the fleet yet. I have to say the results are bothering us. We are not used to being in last in anything. Today”s forecast is for moderate winds from the southwest. As we are sailing on the east side of the island of Minorca, these westerly and southwesterly winds have made for a tricky race course with the wind coming over the land. 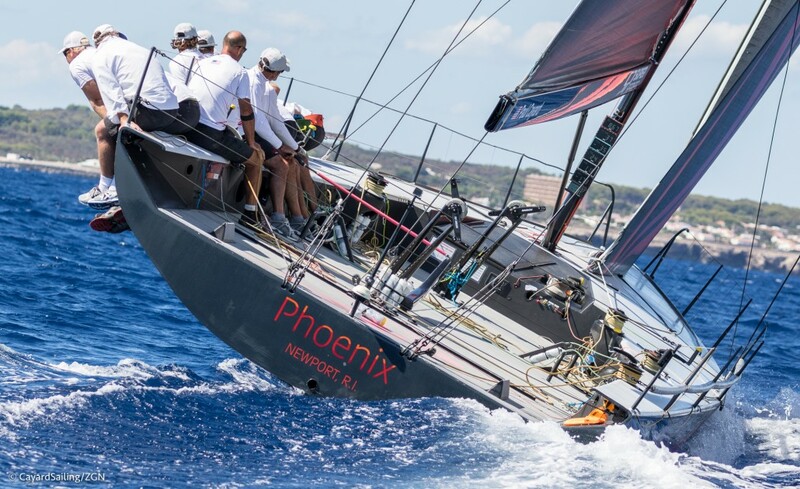 Quantum continues to sail in the top three in every race, and most of the time they don’t have wining starts. Yet they definitely have the speed, the smarts and the boat handling to sail through the group. 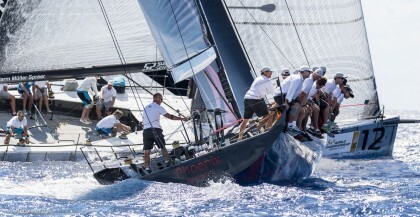 This is a team that had been racing in this fleet for over 6 years with largely the same team. Provezza has sailed very well yesterday, in particular yesterdays second race which they won going away.